Apparently even GQ is capitalizing on exclusive content and visuals these days as they release a new “GQ Freestyle” with Kendrick Lamar. The video showcases the young Compton native as he gets spruced by for his GQ Men of the Year photo shoot with the magazine. In between all the flashing lights, Lamar stops to drop a couple of bars in front of a white backdrop as a few extras on set make sure he looks real dapper for the camera. Kendrick Lamar is set to be featured in the December 2013 issue of GQ. Detroit native Eminem combine forces with Compton native Kendrick Lamar for “Love Game,” one of the many standout tracks featured on Slim Shady’s upcoming eighth studio album The Marshall Mathers LP 2. Take a listen as Lamar and Em’ keep things strictly lyrical and serve up their explicit take on love and relationships. 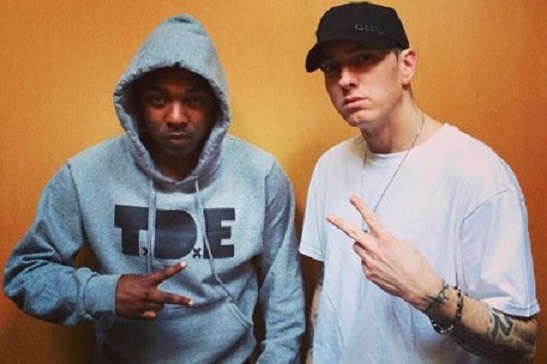 Back in June a photo of Kendrick Lamar and Eminem working together in the studio surfaced and subsequently resulted in the excitement of fans everywhere who patiently waited to see what would come about. There’s no telling if “Love Game” is the only song or one of many that came about during that particular session but if this was the creative direction they were going in, I think it’s safe to say that listeners would love to hear more from these two powerhouse emcees. The Marshall Mathers LP 2 is due out on November 5. Over the weekend Compton bred rapper The Game was handed his first Cash Money chain by YMCMB artist Tyga in front of a sold out crowd at Irvine’s Verizon Wireless Amphitheater for the “How The West Was Won” concert. 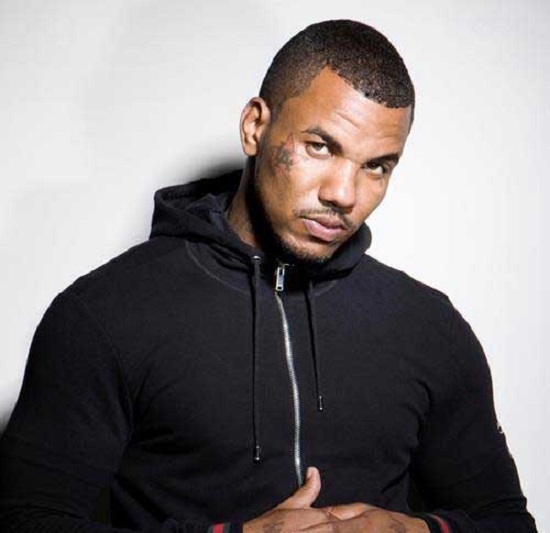 After previously revealing he was a free agent on Larry King, Game continued to voice his past frustrations with Interscope Records and hinted during an interview with XXL and on AXS TV’s SKEE LIVE that he was considering signing with Cash Money. The California native eventually took to his Twitter account the same day he was chained and confirmed to everyone that the news was legit. Pusha T takes a casual stroll down the streets of Compton, Calif. as he keeps things simple and performs to the camera. The gritty black and white visual also showcases TDE’s Kendrick Lamar who joins King Push on his late night walk and holds it down for his respective verse. Interestingly enough, the entire video consists of only one long steady shot and really plays to the song’s raw vibe. 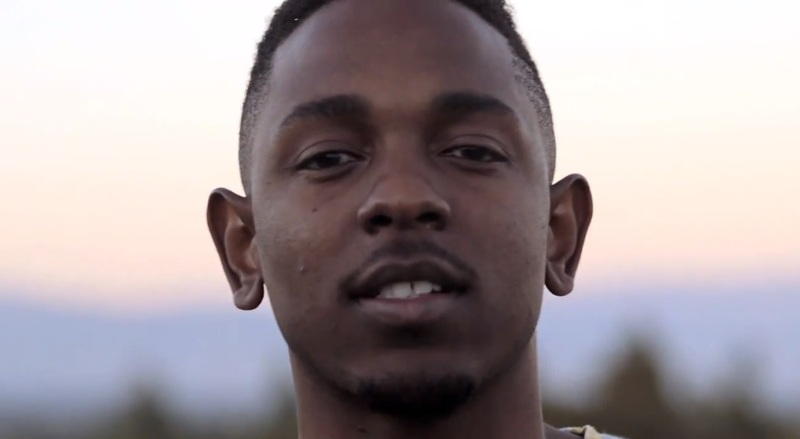 Noisey puts together Budweiser’s latest Made Me episode with Compton native Kendrick Lamar. The TDE artist gets into details on meeting Dr. Dre and speaks on the studio session the super producer played the instrumental for what would become “Compton” off his platinum selling Good Kid m.A.A.d. City LP. Kendrick also shares with cameras his feelings on the City of Compton and gives his opinion on what he considers a real artist to be.